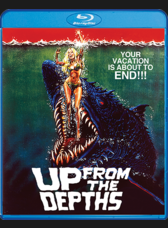 Shout Factory has announced that they will be releasing five blu-rays that will be exclusive to their website. 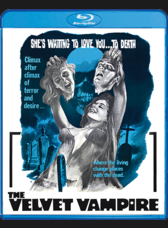 These five blu-rays will be limited to 1,000 copies and once they are gone, they are gone. All of the blus are going to be $26.99. Deathstalker (Richard Hill) is a mighty warrior chosen to battle the evil forces of a medieval kingdom who sets off on a journey to the most challenging tournament in the land. To the winner will go the throne of the evil wizard, the ultimate mystical power and the love of the beautiful Princess Codille (Barbi Benton). But first Deathstalker must prove himself worthy of his legacy . . . and treachery lurks at every turn. Deathstalker II (John Terlesky) has a mission: to save the kingdom from the wicked grip of the immoral wizard Jerak and his queen Sultana, who have ruled the land by creating an evil twin of the lovely Princess Evie (Monique Gabrielle). Capturing the real Princess Evie, Deathstalker must now return her to her rightful place of power – but the swordsman's battle has just begun. In Up From The Depths, staff and vacationers at a first-class resort on the island of Maui are beginning to mysteriously disappear. A biologist believes that an underwater earthquake has caused a giant and very hungry dormant prehistoric fish to be released from his slumber. Voraciously the fish helps himself to a tourist buffet. Now it's open season for the local fishermen to find the creature and kill it! Starring Sam Bottoms (Apocalypse Now, The Outlaw Josey Wales). 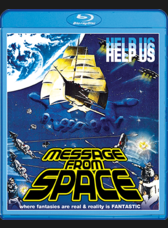 Born from the fallout of Star Wars, along with Starcrash and Battle Beyond The Stars, this wildly colorful, anachronistic Space Opera bristling with dazzling visual effects is available on Blu-ray for the first time! Directed by Kinji Fukasaku (Battle Royale), told in an ancient fairy-tale style and featuring a stellar international cast, including Vic Morrow (Combat! ), Sonny Chiba (Kill Bill! ), Hiroyuki Sanada (The Wolverine), Etsuko Shihomi (Sister Street Fighter), Tetsuro Tamba (You Only Live Twice) and Philip Casnoff (Sinatra), Message From Space is a spectacular sci-fi adventure, where fantasies are real… and reality is fantastic! From deep within the tomb of the Egyptian pharaoh Tutankhamun, Professor Douglas McCadden ships the coffin of Ankh-Vanharis to the California Institute of Sciences, where X-rays reveal five diamond like crystals hidden within the coffin. Technician Peter Sharpe steals the crystals, but he doesn't notice that the powerful X-ray has revived a green fungus. When the coffin is opened at a university press conference, the reporters uncover more than they bargained for. The mummy has disappeared . 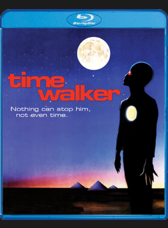 . . the Time Walker is alive again!